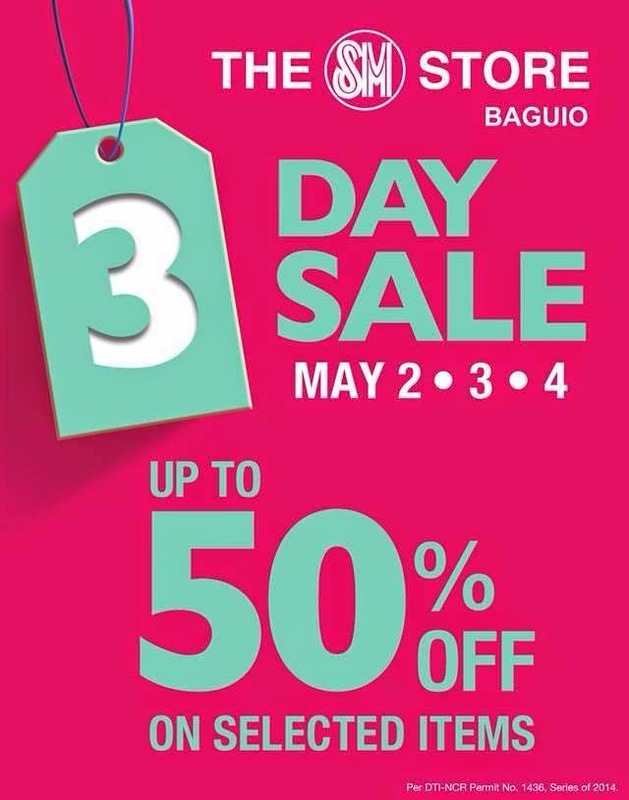 SM City Baguio 3-Day Sale is back again with bundles of opportunities to bring home more while saving more. If you are thinking of shopping some beach attire and camping utensils in the coming few days for the summer season, now is the right time to do so. Be sure to do your shopping spree at the SM Store on May 2 (Friday), 3 (Saturday) and 4 (Sunday) to enjoy up to 50% off on selected items. 1. Shop with your SM Advantage Card (SMAC) on Friday from 10AM to 12PM and get 10% off. The two-hour special will make you rush, so it is best to be ready with your comprehensive list and your helpful friends to assist you in hunting for the items. 2. Use your BDO Mastercard to get a 10% rebate for a minimum purchase of P25, 000 or 5% for a minimum purchase of P5, 000. Who does not love rebate? 3. Receive a P100-worth gift certificate for every purchase of P2, 000 (single receipt purchase only) on Saturday and Sunday. This seems to be a joke but it is real and is happening. 4. Get a chance to win an iPad Air with Globe prepaid sim pack for every purchase of P2,000.00 worth of products.